Ally: Now that we are six days into 2014, I’m doing fairly well with my resolution to try to dress more like a PR professional in my thirties. In order to help me facilitate this resolution while shopping for clothes to wear once back at work (my maternity leave is coming to an end in a few months…the tears), I browsed through LouLou Magazine and found a new label to covet; MinkPink. While some of the images they present on their site are clearly tailored towards the under thirty set, I found some pieces that I think could translate well into my work wardrobe, as well as clothes I’d wear for general “leaving the house” purposes (i.e. drug store, taking the recycling bin to the curb, mailbox etc.). This dress would be adorable (italics required) when paired with thick black tights and my BB Dakota black blazer. The sheer tights here aren’t doing anything for me at all. Another dress that caught my eye may not be the right thing for work, but I can totally picture it for drinks out with my lady contingent (which I’m 100 per cent going to make happen more often this year). Imagine if I owned a pair of black Doc Martens? Just sit back and digest that for a minute. I will. Upon first look, these leggings didn’t really stand out, but then I imagined them with a long, short-sleeved tunic paired with a black tuxedo jacket and my life was complete. I then came across a skirt that would be fantastic for those days that sitting is not required! I kid, it would probably be fine to sit in that skirt. On another note, why have I never thought to pair a black leather skirt with a short grey sweater before? Not a crop top obviously, but something that grazed the waist line? It seems so obvious? I haven’t solidified where I can purchase MinkPink in our great city of Halifax, or if I am able to order online to Canada, but leave it with me and I’ll confirm. It would appear that Twisted Muse Boutique (one of the Shops of Mills) carries the occasional MinkPink item based on their Tumblr page (which I am now addicted to). 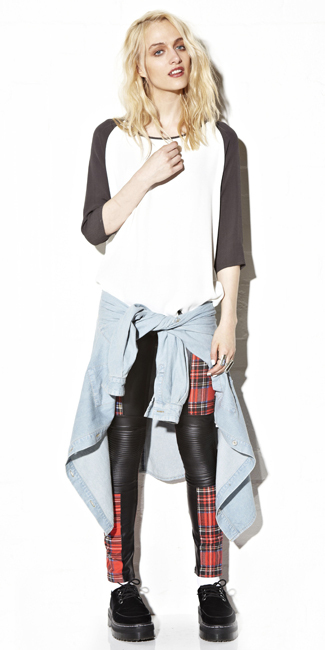 Why am I not shopping more at Twisted Muse? I think a visit is in order. 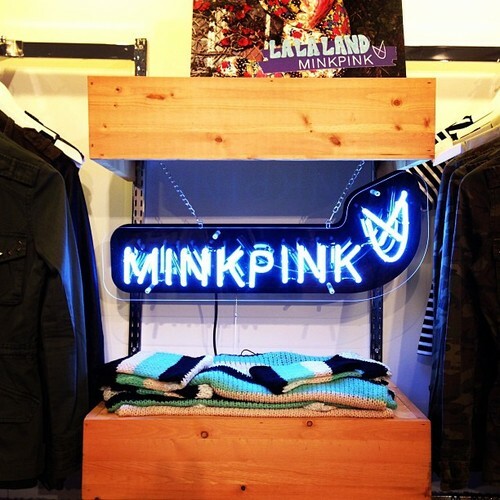 They carry MinkPink! This makes me happy like Beyonce. Guys? I think she might be better than me. I can’t deal with how good she is. She also has a wall mirror. Paging Santa for 2014. Favourite Friday: January 9 Edition | Fashionable People, Questionable Things.